I am a Marriage and Family Registered Intern who graduated from Asbury Theological Seminary with an M.A degree in Marriage and Family Counseling. I received my B.S in Psychology from the University of Central Florida in 2011. I am passionate about aiding individuals and families who are struggling emotionally in order to improve themselves and their significant relationships. I desire to provide a safe atmosphere that honors and invites individuals to practice a different way of doing things. As a facilitator I help individuals by adequately identifying within the here and now such as: emotions, thoughts, meanings, interactions, unmet needs and inadequate boundaries that lead individuals to become stuck in the same way of doing things. I use and incorporates the following techniques: Psycho-education, Emotionally Focused Therapy, Family Systems, Attachment Theory, Mindfulness, and Experiential exploration and or person centered which are catered specifically to the client’s individual therapeutic needs. I am married and a mother of two young active boys. I like to watch movies, spend time with friends, exercise, write stories, read fiction-quotes -poetry, play with my children, listen to music, and go dancing with my husband and travel. 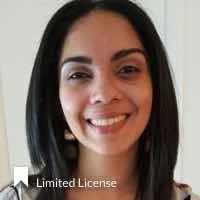 *Yahaira has completed coursework and received a Masters degree from an accredited university; however, she is not fully licensed to practice independently, and is under supervision with a fully licensed Provider. The State of Florida allows individuals under supervision to provide clinical services to Medicaid patients.